The Spindle collection found its inspiration in the traditional spinning wheel and incorporates perfectly aligned spokes into the backseat. 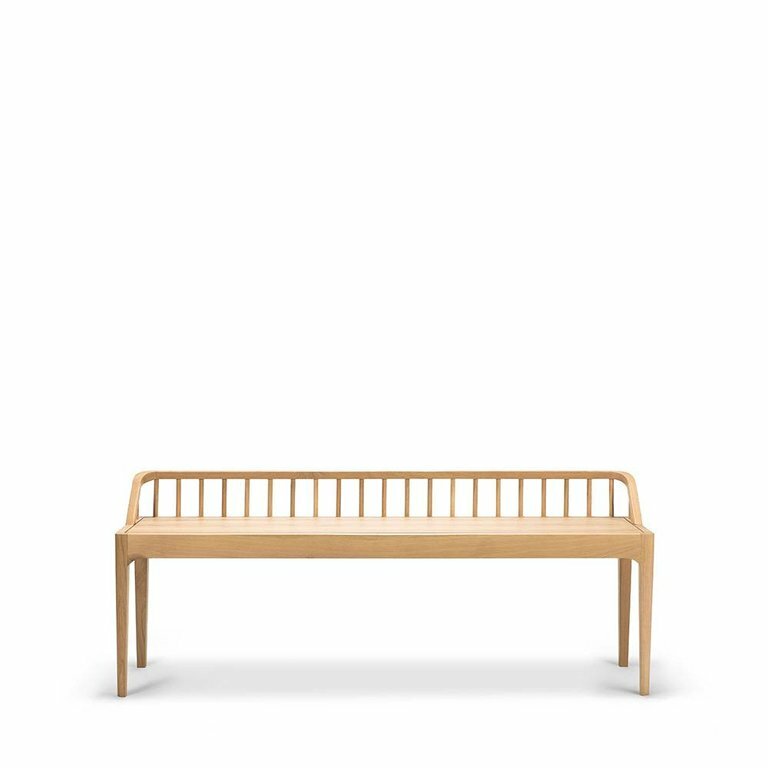 The spindle bench is also available in walnut. Product Features: 100% Solid Oak. 59" x 14" x 24"